We can work wonders in a bath with limited space, even just six feet! 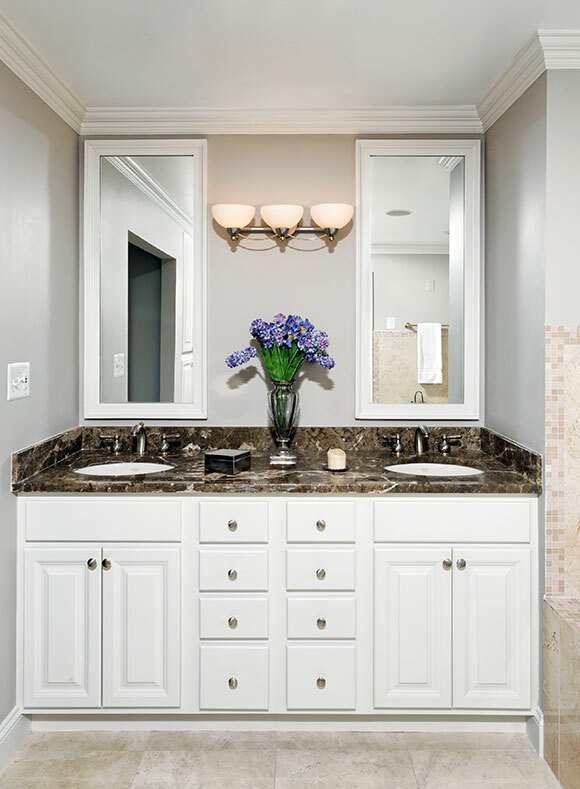 With this reorganized vanity, each user gets four drawers for storage, a storage area under the sink, and a very large medicine cabinet of their own to provide convenience and comfort. With the proper selection of light colors and materials, a small area can feel and function large.